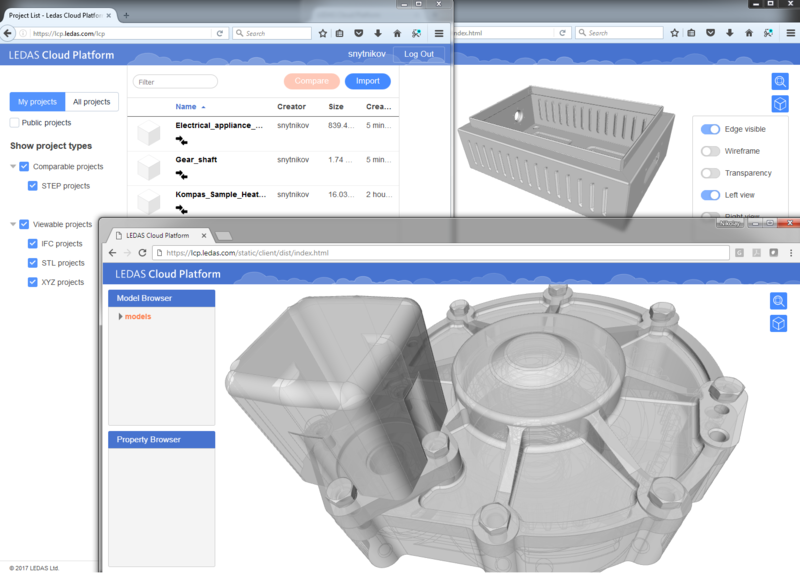 OpenBOM, a cloud-based Bill of Materials, Inventory management, and collaboration tool, announces a partnership with LEDAS, a provider of CAD/PLM software research & development services which together will help users in manufacturing companies improve their product development, manufacturing processes and resources from design to production. OpenBOM, the first real-time cloud Bill of Materials (BOM), inventory management, and collaboration tool designed to help manufacturing companies share, collaborate, manage, and track BOMs across organizational and geographic boundaries announces partnership with LEDAS, whose mission is the software automation of industrial processes of its customers using their long-term expertise in the CAD/PLM field, and a number of in-house technologies and know-how. OpenBOM was co-founded by Oleg Shilovitsky and Vic Sanchez, both experienced software industry veterans. OpenBOM develops new cloud technology to manage Bill of Materials (BOM) across networks of engineers, supply chain managers, and contract manufacturers. OpenBOM enables people to collaborate on the Bill of Materials from initial design through all stages of engineering, manufacturing, and supply chain. Headquartered in the Boston, MA area, OpenBOM’s website is at http://www.OpenBOM.com. Learn more how OpenBOM is the new alternative to BOM spreadsheets. For more information or questions please contact vic(at)OpenBOM(dot)com. OpenBOM is a wholly owned and branded product of Newman Cloud, Inc.
LEDAS Ltd. (http://ledas.com/) is an independent software research and development company founded in 1999. LEDAS provides computational components and services to its customers — PLM (CAD/CAM/CAE/PDM) and ERP software development companies and manufacturing enterprises, using its core competence in mathematics, computer science and computer-aided design, and solid experience in software development & 3D modeling.